Home / Beauty & Fashion / Eye Care / Eye Make-Up Hazards: After All Its Your Eye. It’s no secret that, if not applied carefully and properly, wearers of eye makeup may be at risk to eye damage. Dr. Tsippora Shainhouse, a board-certified dermatologist in Los Angeles shares her input on Women Fitness. Hair/brow/eyelash dyes (paraphenyldiamine in black dyes is most common). These can lead to acute or chronic itchy, pink, scaly rashes on and around the eyes and eyelids. If you don’t suspect your cosmetic as the cause, the rash can last indefinitely, as you keep applying the allergen! Note: If you do suspect one of your products, stop using it and see your dermatologist for treatment. Once the rash has resolved, you can have contact allergy patch testing performed to pinpoint the chemical that you need to avoid in the future! PINK EYE- Pink eye that is caused by allergens or irritants is not contagious, but it is possible to develop a secondary infection caused by a virus or bacteria that is contagious. Avoid touching or rubbing your eyes. Avoid sharing makeup, contact lenses and containers, and eyeglasses. Make up application tools like mascara wands can scratch the surface of the eye, including the cornea. If left untreated, they can heal with scarring, which can lead to permanent loss of vision in those spots. 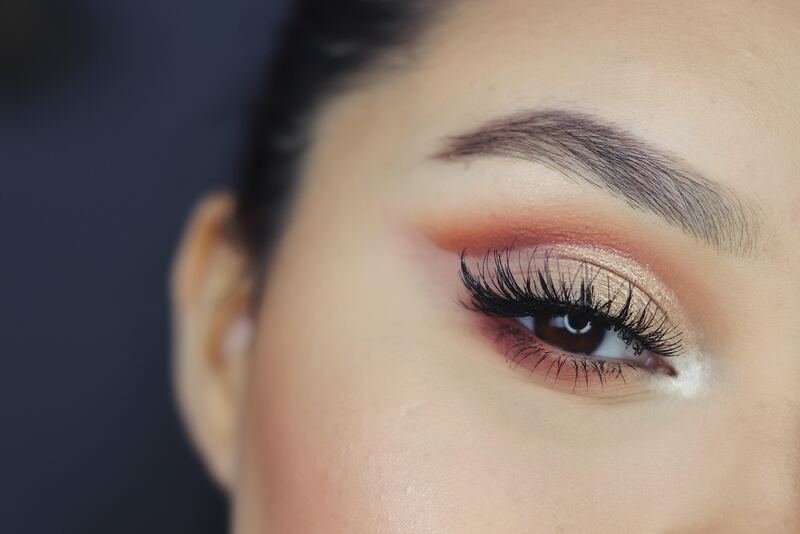 It can also leave the cornea susceptible to viruses and bacteria, including herpes, staph and pseudomonas, which can be lurking in unwashed or shared eye makeup brushes and cosmetics. Lashes are usually derived from mink hairs or silk. They are sterilized, and if they are not dyed, they should not cause an allergic or irritant reaction, in and of themselves. In fact, they are attaches to the tips of the lashes, so they do not really come in contact, with the skin. GLITTER: Gold-flaked false lashes can cause an allergic contact dermatitis on the eyelids. Gold is known to cause rashes on the face and skin, especially the eyelids, when worn as jewellery. If is adhered to the lashes, patients can develop or flare a known gold-sensitivity. ADHESIVES: Eyelash glues can cause severe contact dermatitis. Even reputable brands contain potential contact allergens, such as formaldehyde, cyanoacrylates, latex and rosins. Always test patch the adhesive on your inner arm to make sure that you don’t react to the ingredients. Be very careful that the glue does not drip beyond the edge of the false lash strip or end of the extension. If it does, you might blink and accidentally glue your eyelids together – a definite emergency requiring an immediate ER visit. FOAM PADS: Pads are often used to protect the eye and steady the lashes when extensions are being applied. 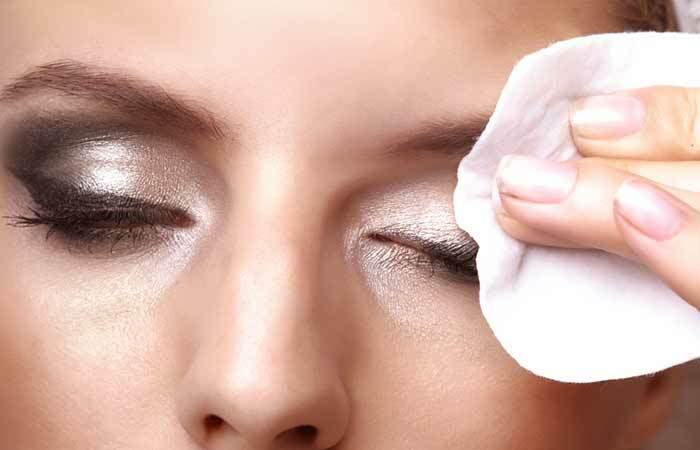 Pads are generally made of latex or formaldehyde releasing agents, which can cause an allergic contact dermatitis on the eyelid and lash line. LASH TINTS/DYES: Contact allergies can develop to the ingredients in the hair dye. Three of the top 5 contact allergens in adults can be found in many hair dyes: PPD (p-phenylenediamine), which is the ingredient in almost all black hair dye and black henna dyes; Formaldehyde (a preservative); and fragrance. These can cause a rash that may not start until a few days after you dye your hair/ lashes, and it can last for weeks. In fact, it often persistent, because women touch up their lash tint every 4-6 weeks! Dr. Tsippora Shainhouse, MD, FAAD, a board-certified dermatologist in Los Angeles, in private practice at Dermatology Institute and Skin Care Center (www.discc.com).